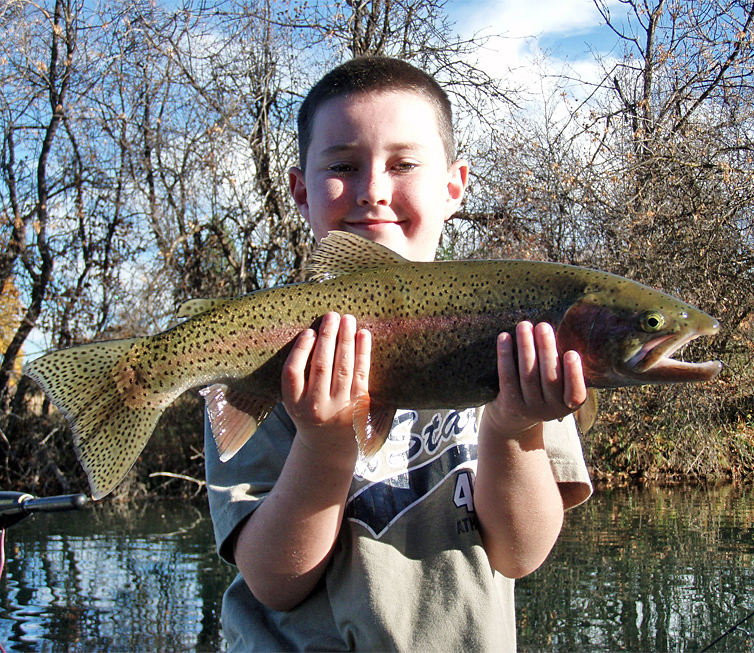 Circle 7 Ranch on the Fall River is ideally located right in the heart of some of the best access and fishing on Fall River, about an hour and twenty minutes northeast of Redding, CA. Circle 7 is situated perfectly below the Island Rd. bridge on Fall River, centrally located with just a short boat ride either upstream of down to some of the best fishing on Fall River, one of the West’s largest and most renowned spring creek systems, and is just a short drive to the main sections of Fall River, or other regional streams like Hat Creek, the Pit River, and Burney Creek. Fall River itself is some fifteen miles long with an average depth of 7 feet of icy cold water, making it impossible to wade. The entire river bank, from where the headwaters bubble out of the ground to its confluence with the Tule River is privately owned, making public access along the river difficult even though the water itself is open to the public. The Fall River is the nation’s largest spring system, creating a wonderland of crystal-clear, 50-degree rainbow trout habitat. At the same time it is both the finest spring creek fly fishing opportunity in California and one of the best in the United States. 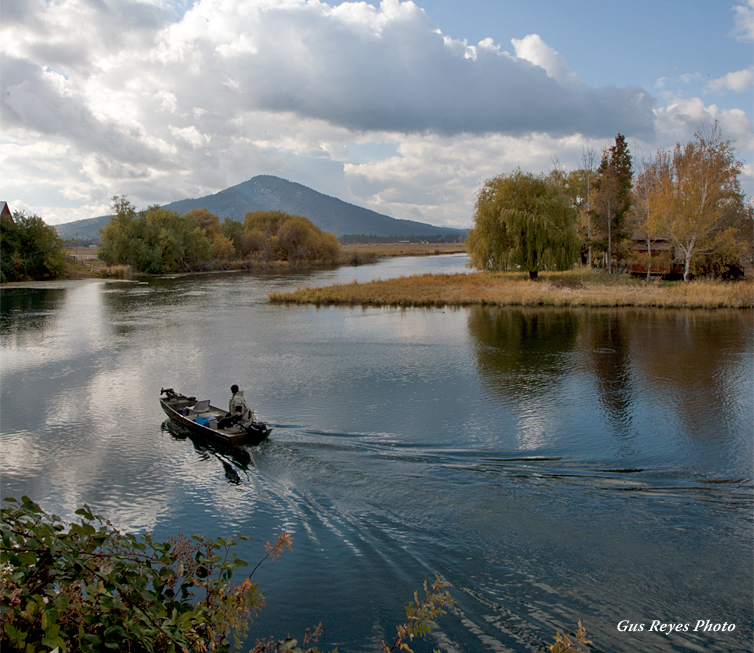 It is certainly the angling showpiece of the entire Shasta Cascade region and one of the richest spring fed rivers in the world. 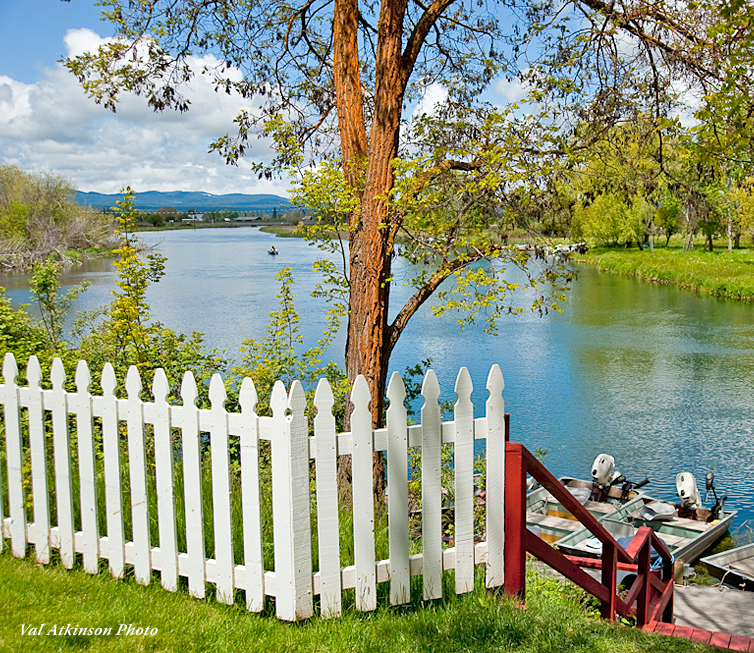 Circle 7 Ranch features four different riverside rental homes on Fall River, each one perfect for different sized groups of fishing friends or family, and come with launch abilities for private prams or rental boats are also available. The views from the bedrooms, social areas, and decks on each of the four homes are spectacular, with Mount Shasta just to the West, Mt Lassen to the South, and Fall River only a short cast away. 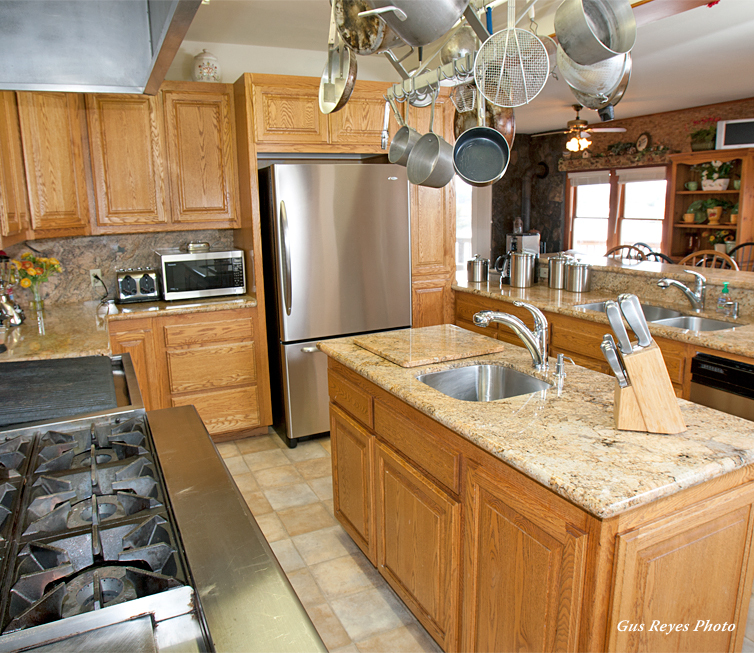 The kitchen’s in each of the homes are spectacular, with granite countertops and fully equipped for the most practiced of chefs to enjoy meal preparation in style. All of the bedrooms and living areas are fully furnished, and the wonderful Circle 7 staff will personalize each visit for our guests, including adjusting bed and room configurations and other special requests. 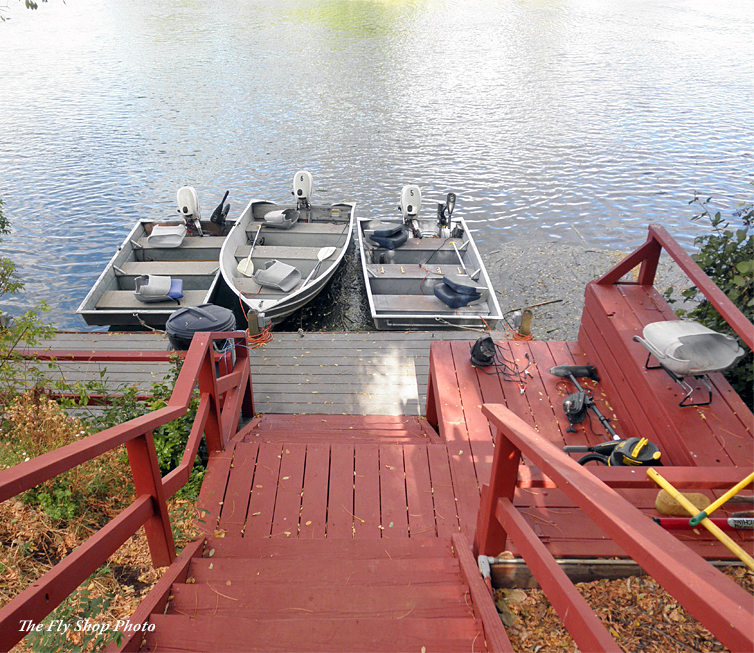 Reservations for any of the homes at Circle 7 can be made any time of year, though the season for availability runs with the general trout season on Fall River (last Saturday in April - November 15). 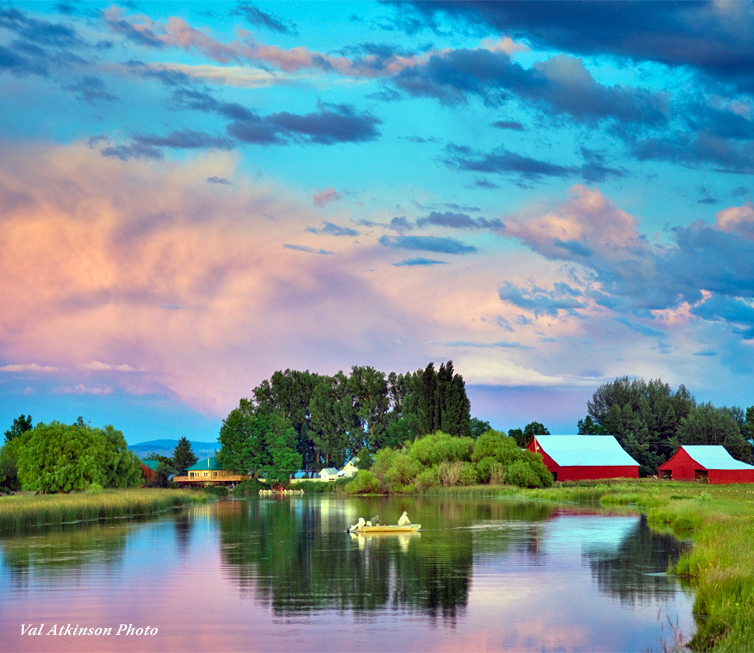 Included in your lodge package at Circle 7 Ranch is lodging and applicable taxes, use of cabin and all of its amenities, and access to Fall River via boat rentals or launch site for personal boats. 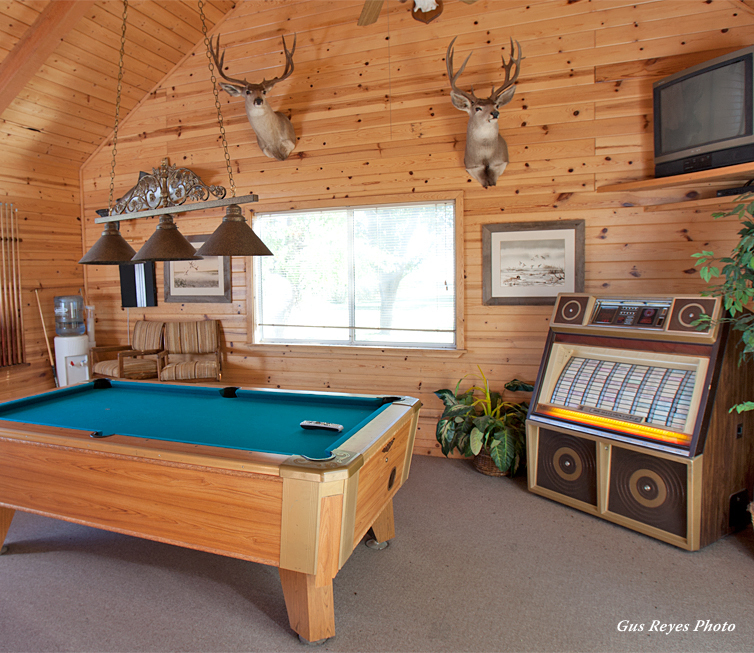 Not included in your lodge package at Circle 7 Ranch are fishing license, waders, rods/reels, and terminal tackle (flies, tippet, etc.). 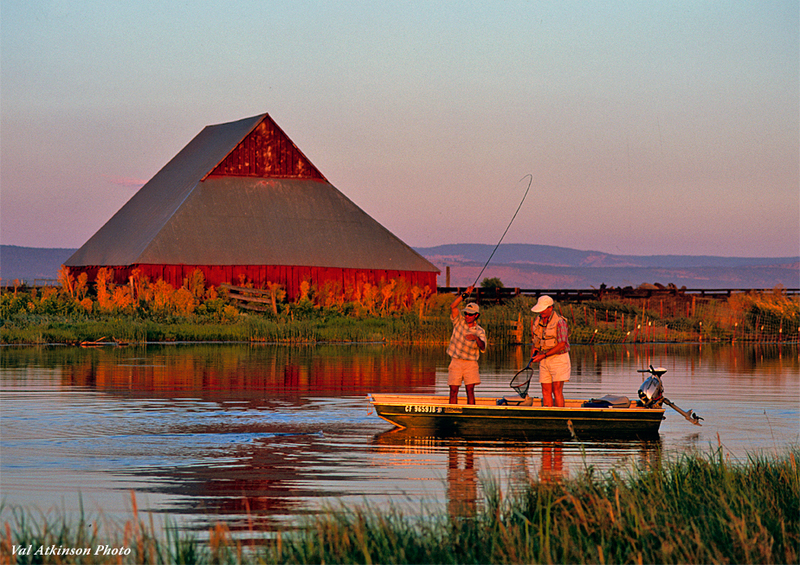 There is a small store at Circle 7 that contains some flies and tackle, but due to its remote nature supplies can be limited in it is recommended that you purchase, tie, and bring your flies and tackle to the ranch. Fishing licenses cannot be purchased on site, and should be obtained through a licensed dealer or on-line prior to arrival. 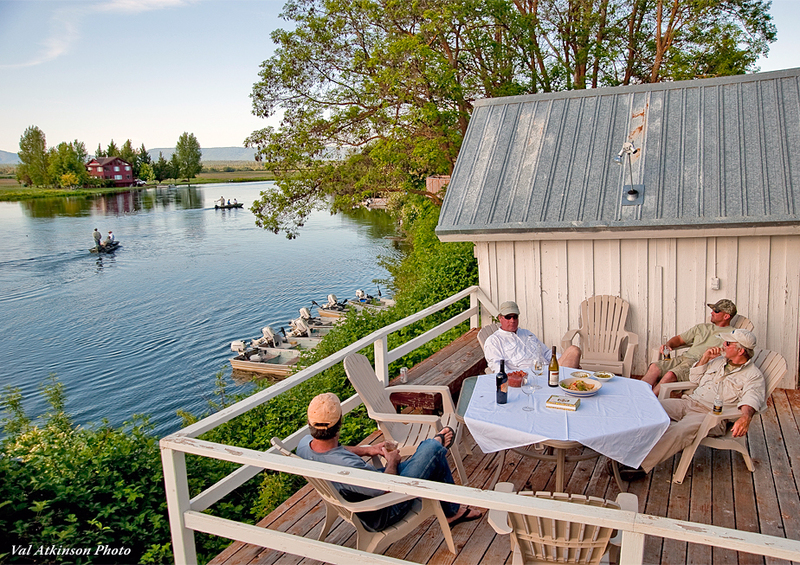 Non-fishing companions will not only be able to enjoy the comfortable houses at Circle 7, decks, and ranch grounds, but there are some great sight-seeing venues just minutes away, including Burney Falls State Park and several renowned golf courses. In fact, many Circle 7 guests spend as much time on the links as they do on the river! 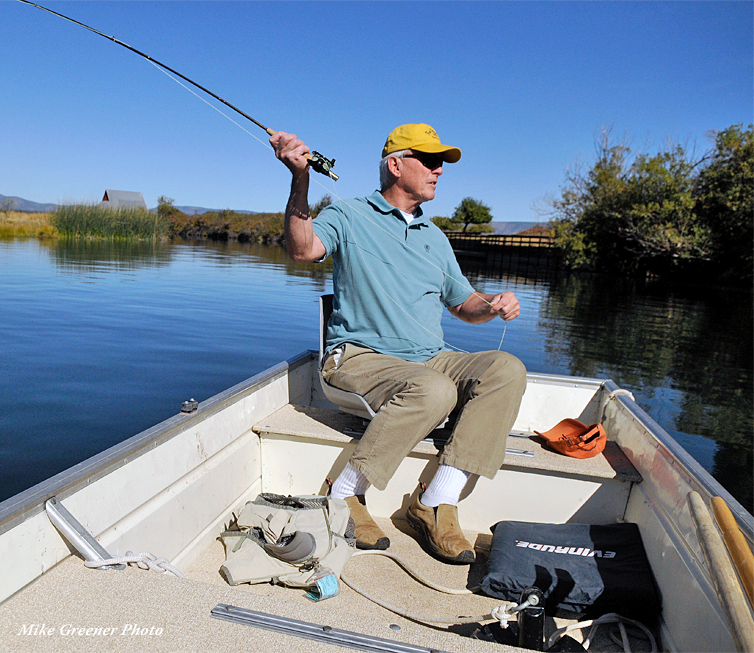 The Fall River opens to fishing on the last Saturday in April and remains open through November 15. The Fall is a spring creek, its flows mostly un-impacted by runoff, running clear and cold consistently almost every day of the season. May and June are generally considered the "prime time" months on the Fall River because of the daily morning and evening hatches and profuse spinner falls. The largest spinner fall on the river is a heavy hatch of PMDs that begin to hatch in the morning and fall spent to the river and drift placidly down to pods of rising trout throughout the middle of the day. This epic PMD spinnerfall hatch occurs near the headwaters of the Fall upstream of Island Road Bridge. It's not uncommon to see hundreds of finicky rainbow trout throwing caution to the wind and rising simultaneously during the heart of the intense PMD spinner fall on Fall River. June and July are two of the most popular months of the year on Fall River, largely due to the famous Hexagenia mayflies hatching at dusk and bringing the biggest fish in the river to the surface every night. Many anglers in the know plan their entire angling season around the arrival of these giant, bright yellow mayflies. Hexagenia are the largest of the mayfly species, yet are only available to the trout for a short window of opportunity from the middle of June through July when they emerge, right at dusk, to mate. Their nymphs are burrowing insects, living in the silty river bottom until their emergence each summer. In spite of the hype and excitement that always surrounds the Hex Hatch, there are still some great midday mayfly hatches and blankets of caddis that swarm the river every afternoon. Often the best fishing of the Hex hatch event is actually casting emerging caddis patterns in the hour or two before the big Mayflies begin to show. In addition, there are consistent spinnerfalls every morning through the summer of a tiny species of mayfly. The Attenella, or tiny blue winged olive, hatch and mate at night throughout the warm summer months, falling to the river to waiting trout in the early to mid morning. Our Fall River guides will put you on the water during the most productive times of day. Sometimes this means fishing early in the morning and taking a midday siesta before going out again in the evening to fish the Hex Hatch, while at other times they'll pick you up at midday and fish straight through till it's so dark you can't see any more. August and September is "trico time" on Fall River. These tiny mayflies hatch most mornings and provide a couple of hours of action casting tiny dry flies on even tinier tippets for some of the most challenging and rewarding spring creek fishing anywhere. Callibaetis mayflies and small caddisflies are also prevalent at times on Fall River throughout the late summer months and early fall. August and September are sometimes considered the doldrums of the season, but our guides have discovered that these may be two of the best months of the year on Fall River. Hatches are less consistent, but nymphing and swinging wet flies and streamers on intermediate lines is very productive and angling traffic is light. October and November also don't get much attention from anglers, but have great hatches of tiny Tricos and Baetis mayflies, and larger Callibaetis mayflies, too. Trout will consistently feed on a variety of dry flies, nymphs, and even slowly swung wet flies or streamers throughout the course of a fishing day. Fall River regulars don't talk much about the fall season, mainly because they don't want everyone to know how good the fishing can be at that late time of year. Circle 7 Ranch closes for the season on the 15th of November and reopens the following April, coinciding with the opening of Trout Season. 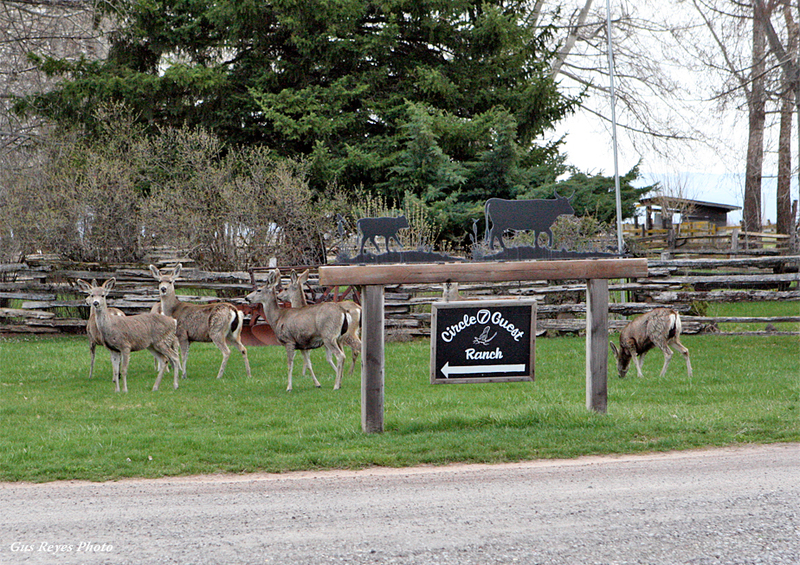 There are several great lodging options with Circle 7 Ranch. is an additional fee of $80.00 per night for each additional guest after the first 4. A 10% Shasta County Occupancy Tax is also added to all Circle 7 reservations. The log-cabin style home at Circle 7, with that homey cabin-in-the-woods feel and panoramic river views from the loft and deck perched looking down on the river. The Cabin House can sleep up to six guests in two bedrooms plus the upstairs loft, and two and a half bathrooms. Weekday pricing is $410.00 per night for the first 4 guests, while Weekend/Holiday pricing is $460.00 per night for the first 4 guests. There is an additional fee of $80.00 per night for each additional guest after the first 4. A 10% Shasta County Occupancy Tax is also added to all Circle 7 reservations. The favorite amongst the truly inspired chefs out there, as it plays host to the beautiful commercial-grade kitchen, enviable of many restaurants! It's also one of the most cozy homes on the river, ideal for smaller groups up to four guests, or combined with one of the other homes for mixed groups. The Tan House can sleep up to five guests, although it's probably best for four, with two bedrooms and one and a half bathrooms. Weekday pricing is $410.00 per night for the first 4 guests, while Weekend/Holiday pricing is $460.00 per night for the first 4 guests. There is an additional fee of $80.00 per night for each additional guest after the first 4. A 10% Shasta County Occupancy Tax is also added to all Circle 7 reservations. The newest of Circle 7's rental homes on Fall River, a two bedroom, two and a half bathroom home with additional pullout couches and big open great rooms for a maximum occupancy of up to five or six guests. The Yellow House is also pet-friendly, with a kennel and fenced in yard attached making it the perfect choice for groups who just can't bear to leave Fido at home. Weekday pricing is $410.00 per night for the first 4 guests, while Weekend/Holiday pricing is $460.00 per night for the first 4 guests. There is an additional fee of $80.00 per night for each additional guest after the first 4. A 10% Shasta County Occupancy Tax is also added to all Circle 7 reservations. 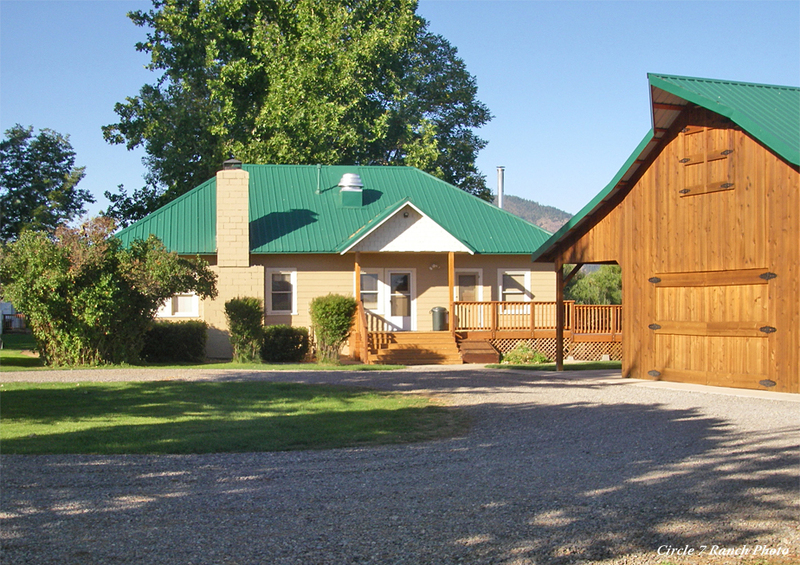 Circle 7 Ranch is approximately 4 hours from San Francisco, 3 hours from Sacramento, and 3 hours from Reno. miles to a stop sign. Turn right and go 1/4 mile to the Glenburn Church and turn left on McArthur Road (A19). Go 1.2 miles on McArthur Rd (A19) at which point Island Road will veer off to the right. Follow Island road until you see the entrance to the Circle 7 Ranch on your right, before you cross the river. Turn right into the arched entranceway to the ranch, then follow the dirt road to the parking areas in front of the cabins.